What is DT Invoice ? How DT Invoice is integrated? 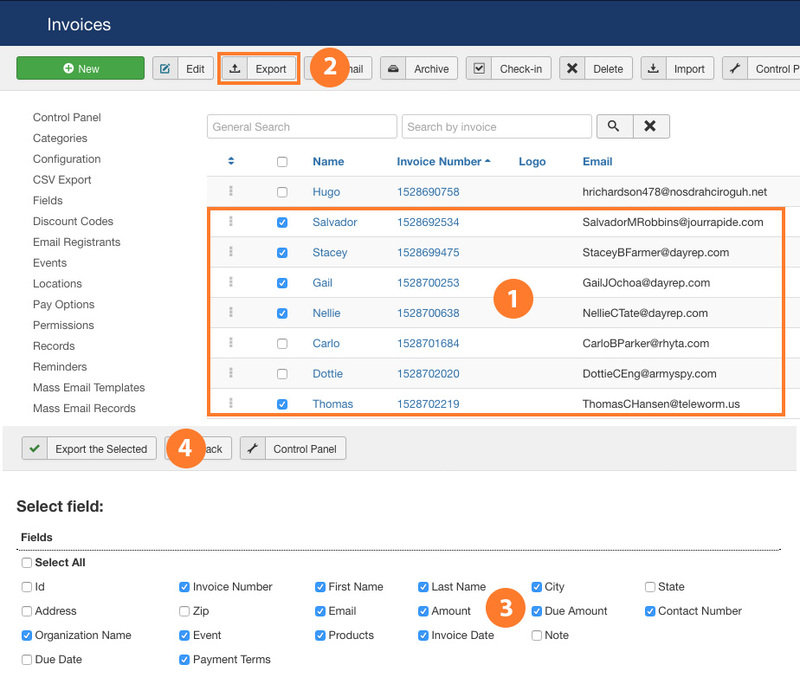 DT Invoice is integrated as a built-in function in DT Register to help admin manage invoices (add new, edit or delete invoices). 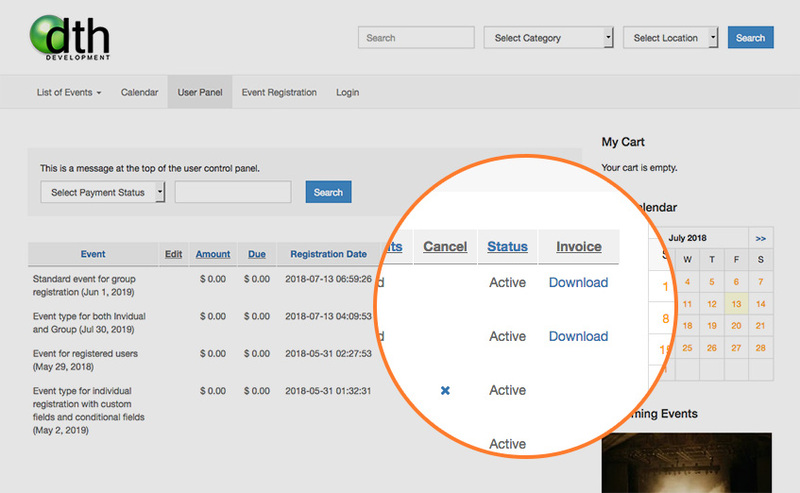 For user, they can view their registerred events and download invoice in the user panel page. 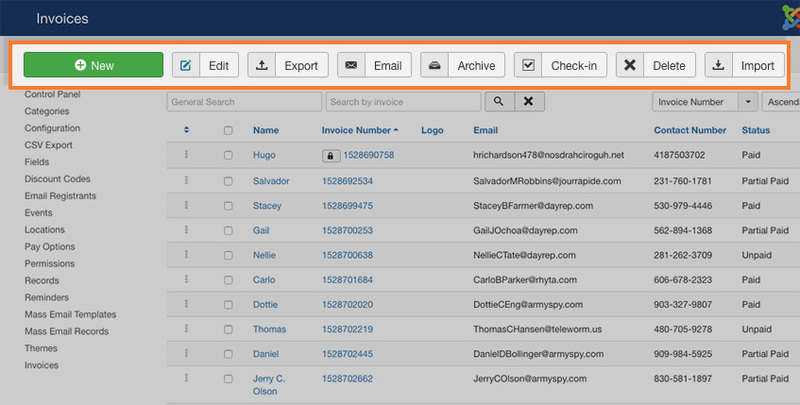 For admin, they can manage invoice from back-end: Components > DT Register > Invoices. All invoices will be listed. 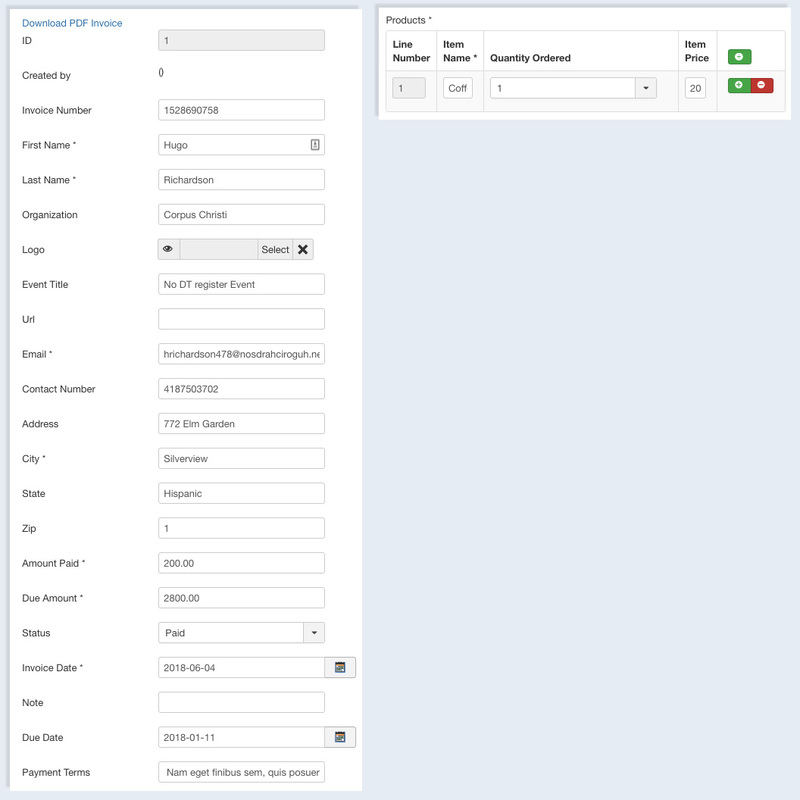 Lots of functions on the function bar to help admin manage invoice easier. 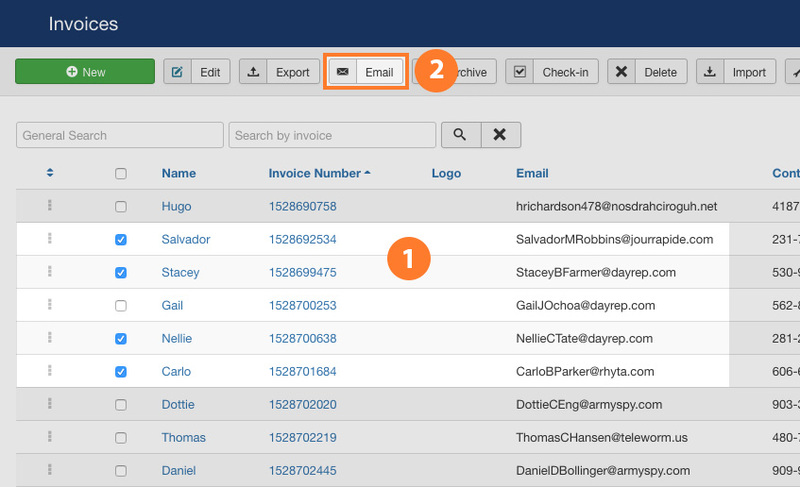 Admin can select to export all or specific invoices and select fields to be exported. The export file is in .csv format. 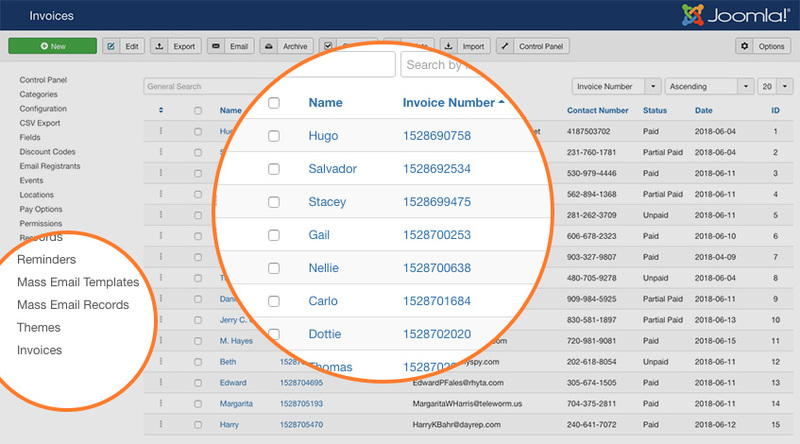 To import invoice, access the Import panel and select .csv file to import. 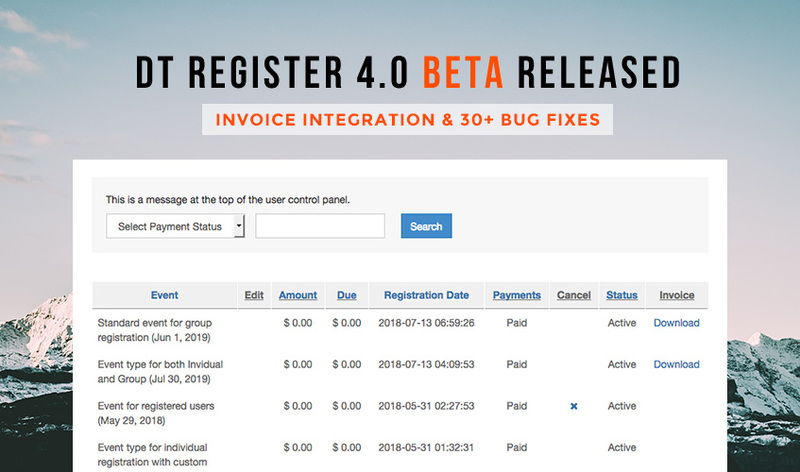 Select invoices and hit the button "Email", it will send invoice to corresponding user's email. We are working to add Invoice menu in the control panel of administrator will all functions for admin to manage invoices in front-end just like in back-end. DT Register 4.0 preview release is FREE for download, it is for testing purpose, please do not use it for your project.